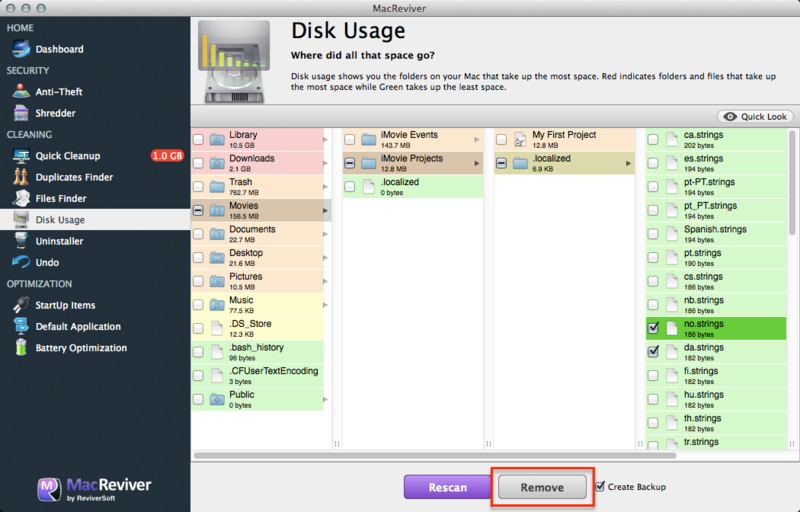 The Disk Usage feature gathers statistics on all the folders on your Mac, and tells you which folders take up the most space. As you click through folders, each subfolder will also be sorted by space. You can also remove any folder or file from this screen. The folders will be color coded by size. Red folders and files take up the most space within a particular folder, and green takes up the least space. Click the arrow to view subfolders, which are similarly color coded. Select any folder or file, and click Remove to delete it. 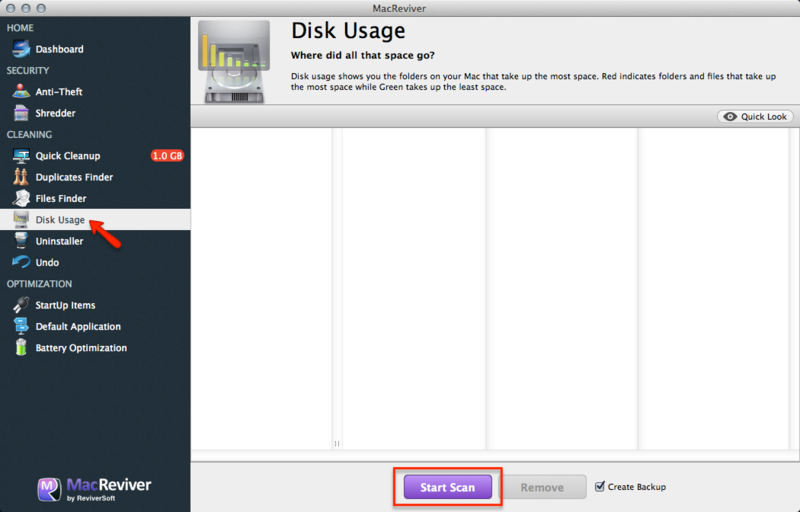 How do I use the backup function of MacReviver?